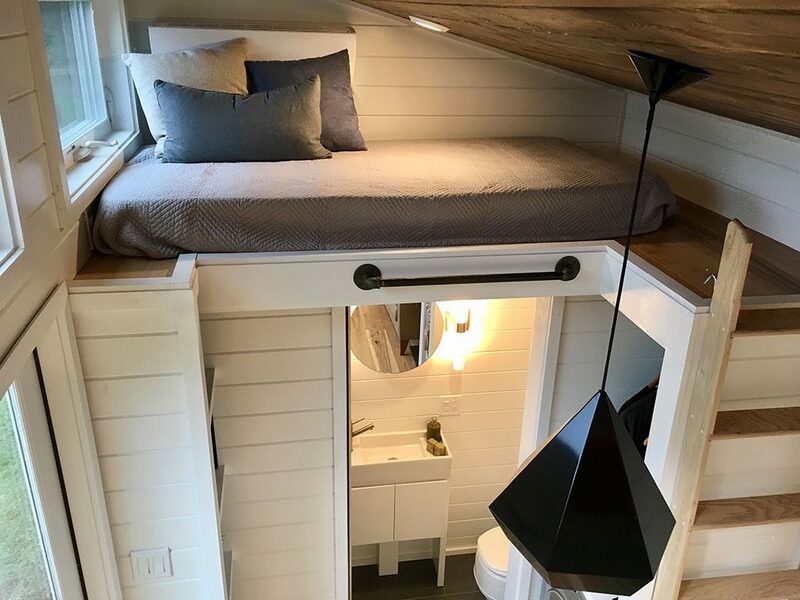 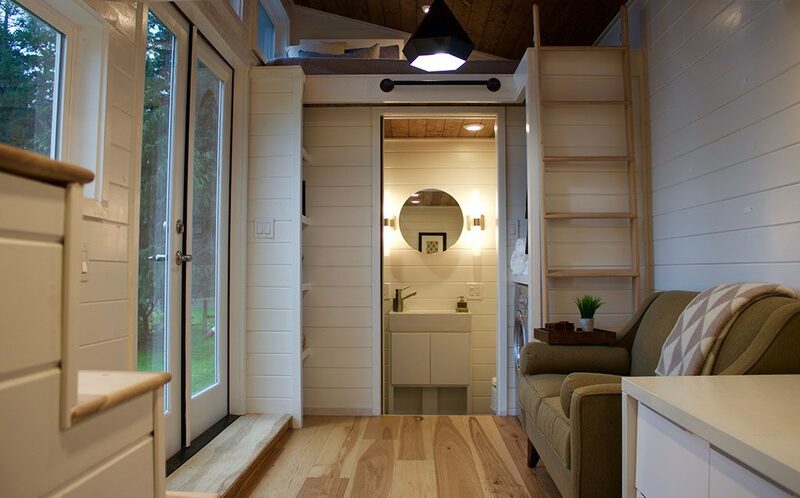 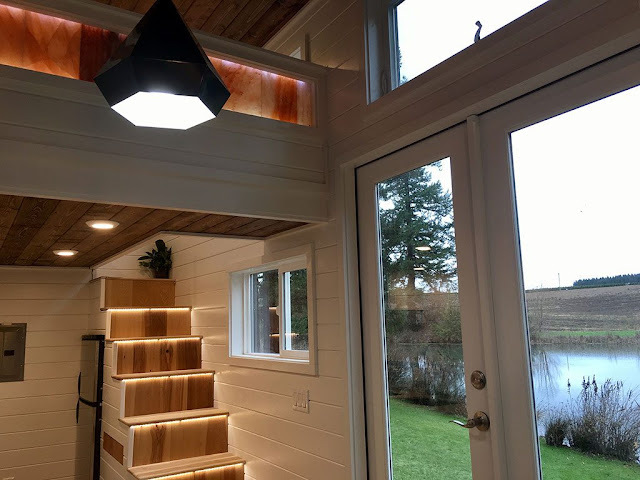 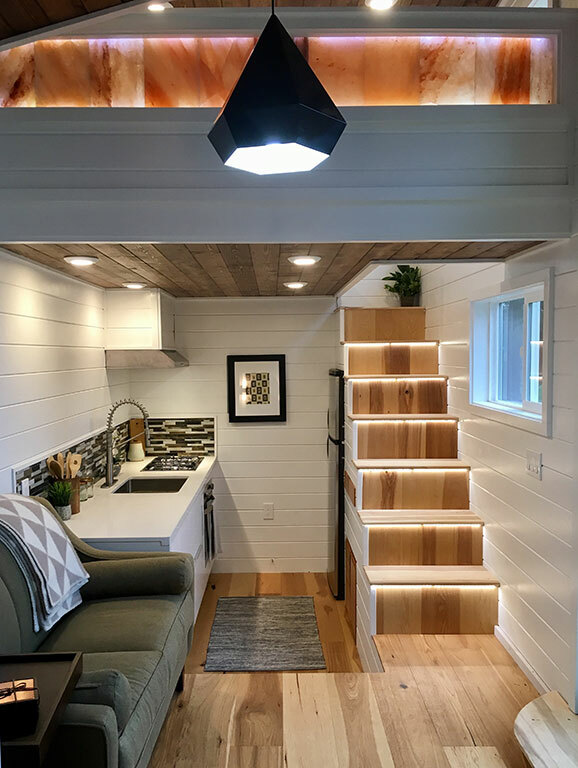 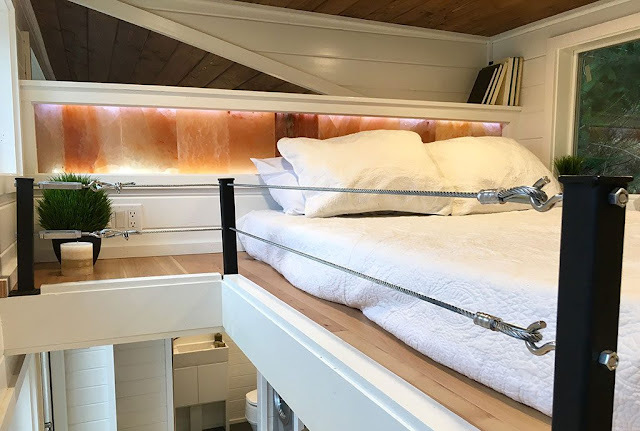 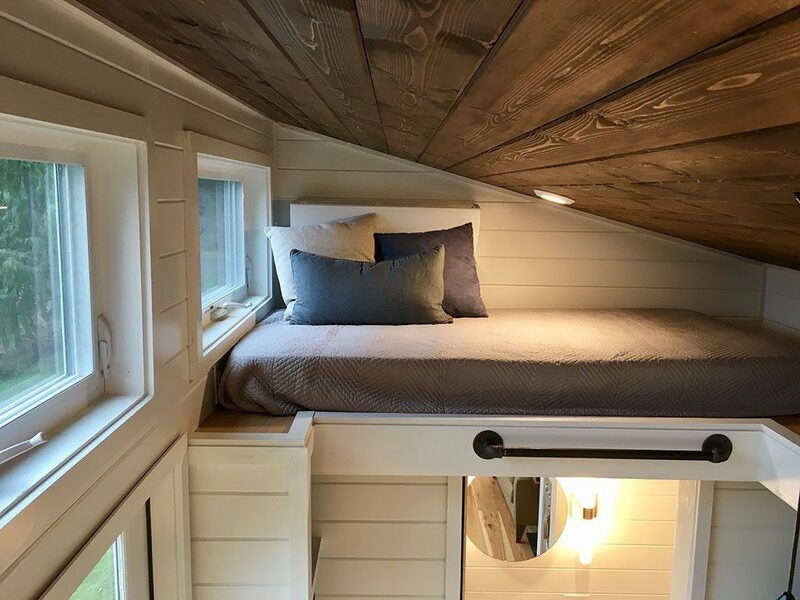 Another beautiful tiny house from custom home makers, Tiny Heirloom! 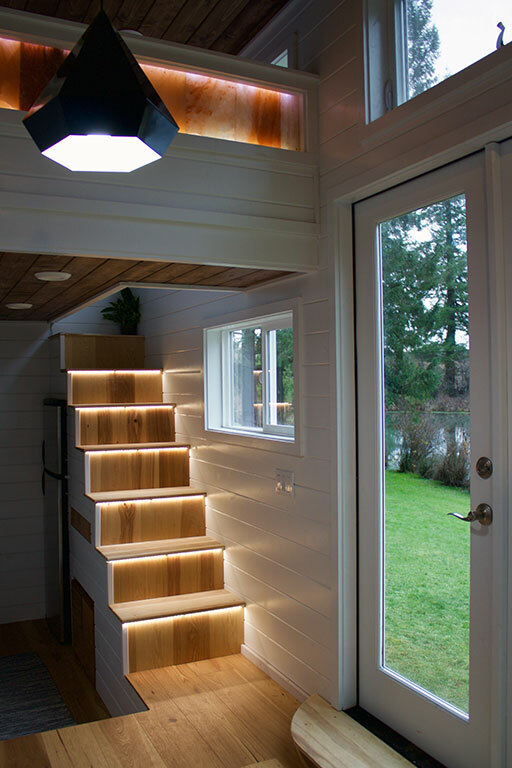 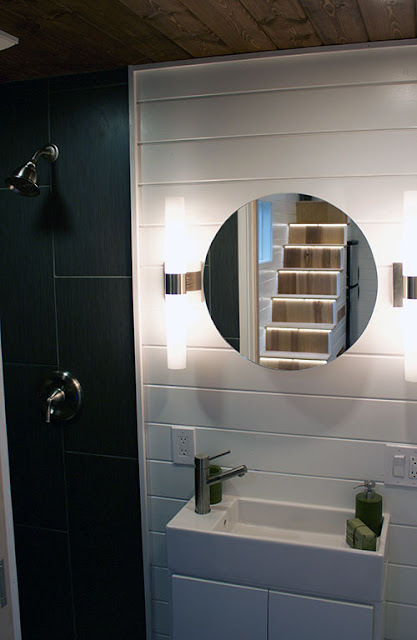 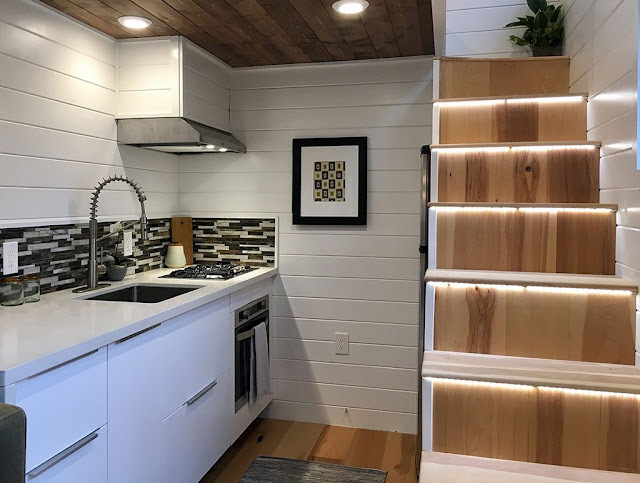 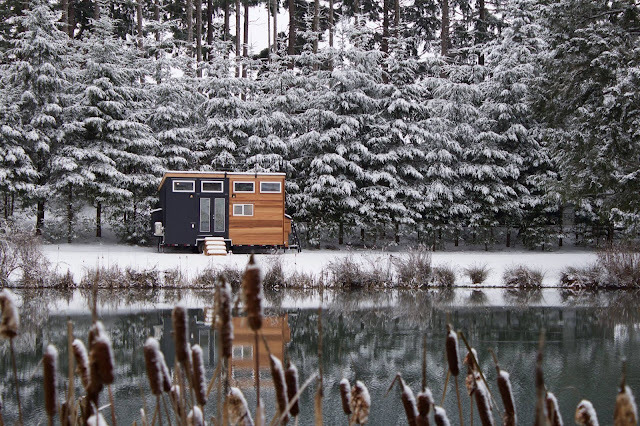 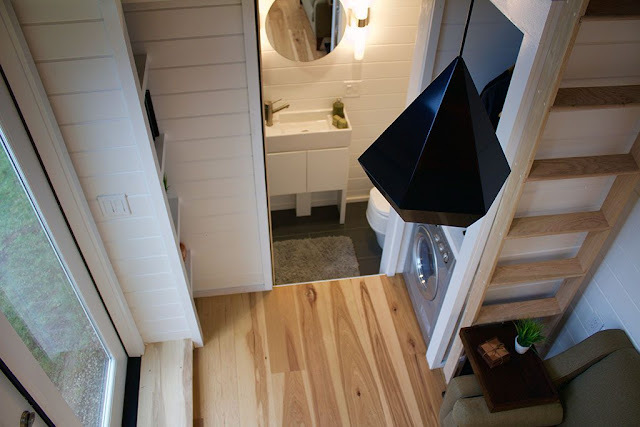 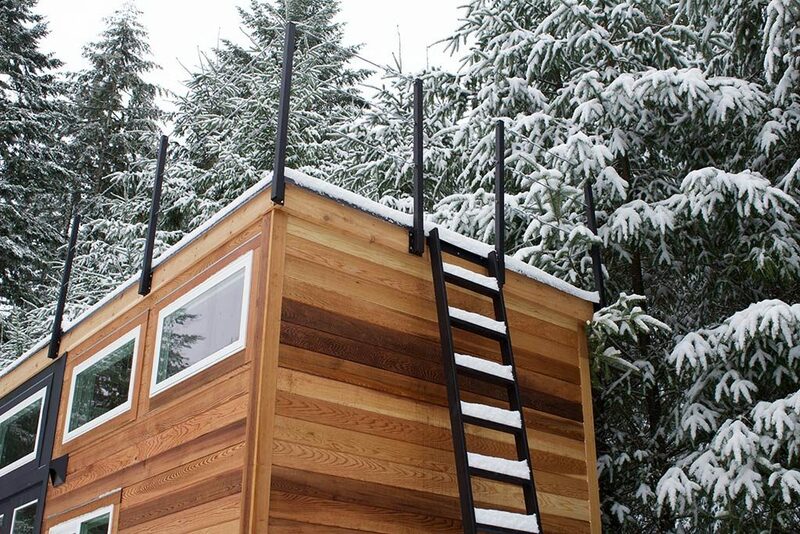 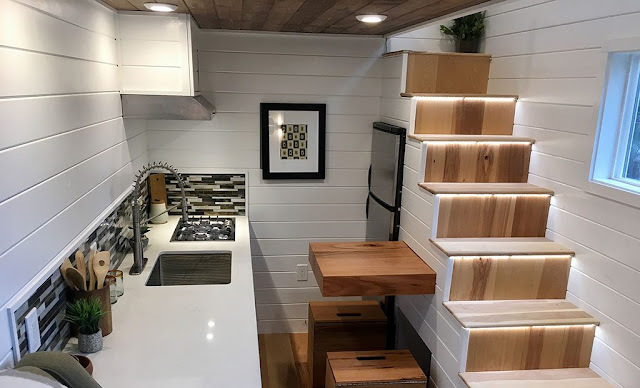 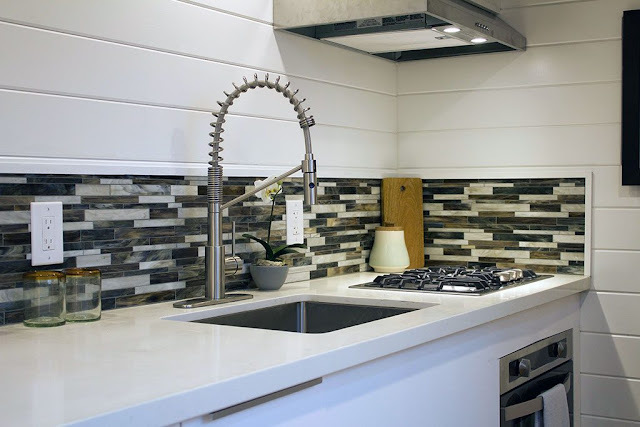 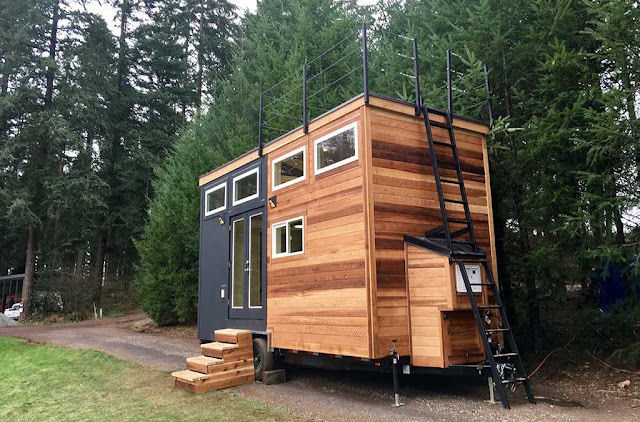 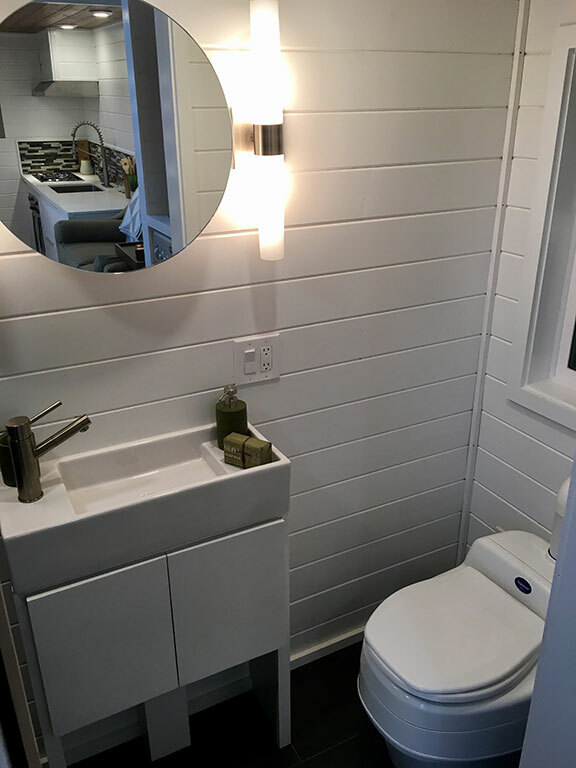 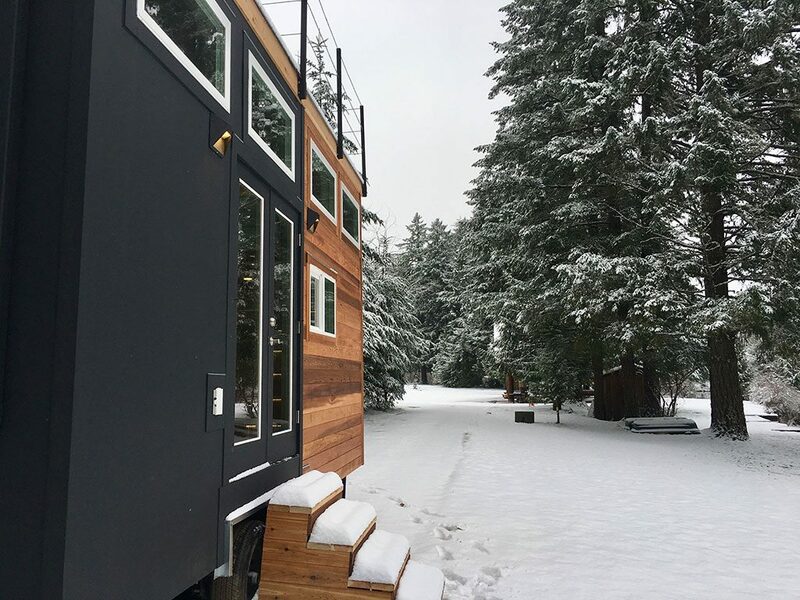 This modern/rustic tiny house was designed for clients on HGTV's show, Tiny Luxuries. 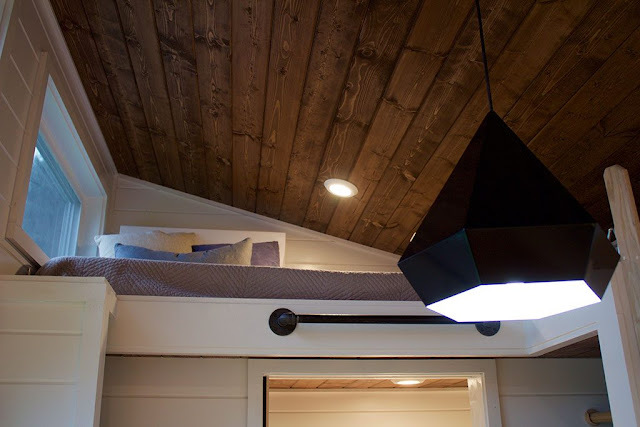 The goal was to create a space for the client's children that would allow them to cohabitate peacefully in a small space. The home was dubbed the "Tiny Home of Zen" to reflect its minimal interior. 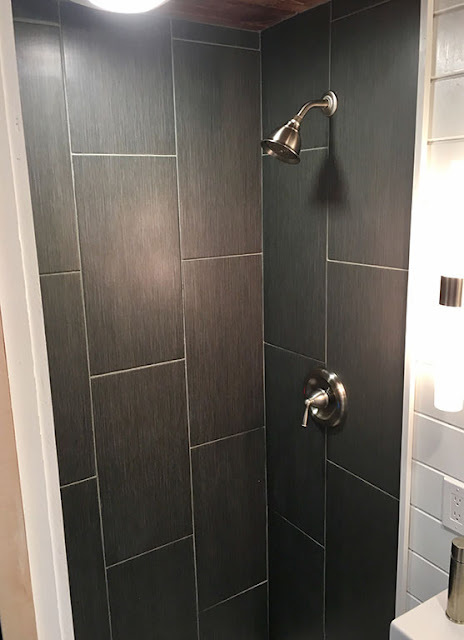 The home has two loft bedrooms- one accessible by a ladder and the other by lit stairs, a kitchen, living room, bathroom, and a rooftop patio!